Our range of products include portable bio toilet, frp bio degradable toilet, frp gents urinal portable toilet cabin, row type frp labour toilets, frp portable urinal and temporary frp toilet. As a noteworthy entity of this domain, we present clients with the premium quality of Portable Bio Toilet. 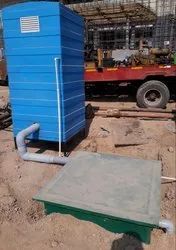 The portable bio toilet has complete FRP body with high FRP base strength. These portable toilets are provided with one electrical point incised and one water trap. The portable bio toilet is easy to assemble and disassemble, apart from being extremely portable. We are offeringFRP Portable Urinalmade from the premium-quality Fiber Reinforced Plastic in our state-of-the-art manufacturing facilities. These are sturdy and designed to offer convenience and privacy with proper ventilation and drainage facilities. We have rigid quality norms conforming to the international standards. These are available in standard dimensions and we can customize these as per the clients' requirements. We are offeringFRP Portable Ladies Urinal Cabinmade from the premium-quality Fiber Reinforced Plastic in our state-of-the-art manufacturing facilities. These are sturdy and designed to offer convenience and privacy with proper ventilation and drainage facilities. We have rigid quality norms conforming to the international standards. These are available in standard dimensions and we can customize these as per the clients' requirements. 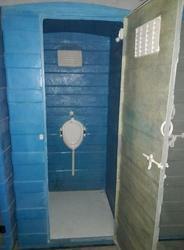 We are offering a wide assortment ofFRP Portable Gents Urinal Cabins. The given mobile toilet is provided in affordable rates with various customized options as per the needs of our customers. 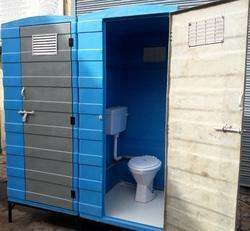 We design this mobile toilet at our end using supreme grade material in accordance with market standards. 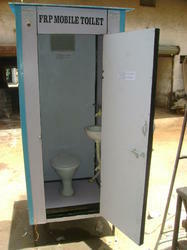 Before the dispatch we check this mobile toilet on number of quality parameters to assure its quality. We are offering FRP MOBLLE Toilet made from the premium-quality Fiber Reinforced Plastic in our state-of-the-art manufacturing facilities. These are sturdy and designed to offer convenience and privacy with proper ventilation and drainage facilities. We have rigid quality norms conforming to the international standards. These are available in standard dimensions and we can customize these as per the clients’ requirements. 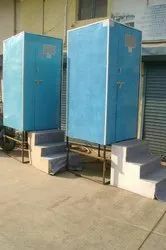 We are leading Manufacturer ofFRP Toilet.Being a quality centric company, we are offering an enormous gamut of Mobile Bio Toilet.Obtainable in a variety of colors and stipulations, the offered bio toilet is fabricated with perfection with sophisticated technology & tools using optimum material. 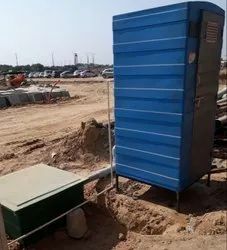 As a quality-oriented organization, we are focused to provide our clients excellent quality Bio Toilet.Used in construction sites, grounds and camps, the given range of modular bio toilet is designed by our professionals as per the market standards by utilizing the top quality basic material and updated technology. Our offered modular bio toilet is available in different dimensions as per the varied needs of clients. 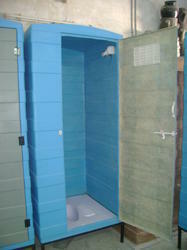 This bio toilet is offered at the market leading rates to the customers.